The Board of Secondary Education (SEBA) secretary Probin Sarma said the HSLC results will be available at the official website sebaonline.org from 9 am. The students can collect their mark sheets from the respective schools from 11 am, the official mentioned. More than 3 lakh students have appeared for the SEBA HSLC Class 10th 2018 examination. 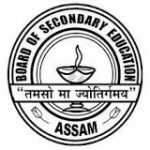 The Assam Board Class 10 Examination 2018 was held at 852 centers across the state. Last year, the results were declared on 31 May 2017. Over three lakh students had appeared for the SEBA HSLC Class 10 exam 2017. The overall pass percentage stood at 47.49 percent. Of the 3,80,733 students who appeared for the exam, 54,955 students passed in first division, 80,197 students passed in second division, and 43,522 in third division.